Are you TUF enough to rock these sleeveless badboys? These are basketball-inspired jerseys that correspond to their respective teams. Red for Team Ortiz and Blue for Team Liddell. 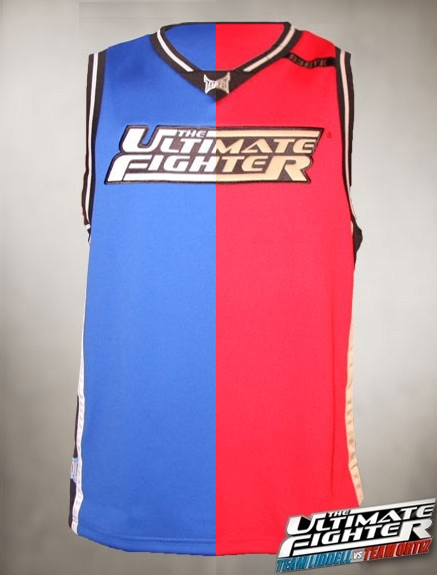 They both feature The Ultimate Fighter patch on the chest, a TapouT logo near the neck and on the right hip and a “B3LI3VE” patch near the left shoulder, and with the respective team names on the back. Made with 100% polyester.